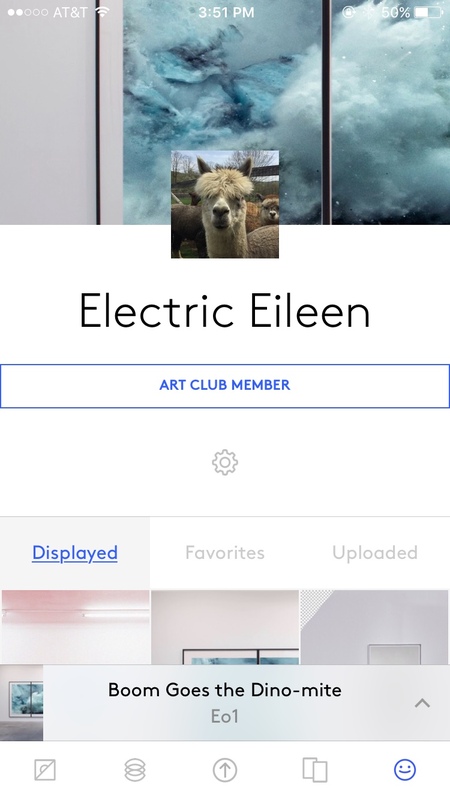 The EO app features 5 primary tabs: Art Club, Playlists, Upload, Gallery, and Profile. You can navigate between these using the icons on the bottom of the screen. The Art Club tab is where subscribers can access our massive collection of incredible artwork. Here you can find directories of the artists and museums that comprise our overall collection. 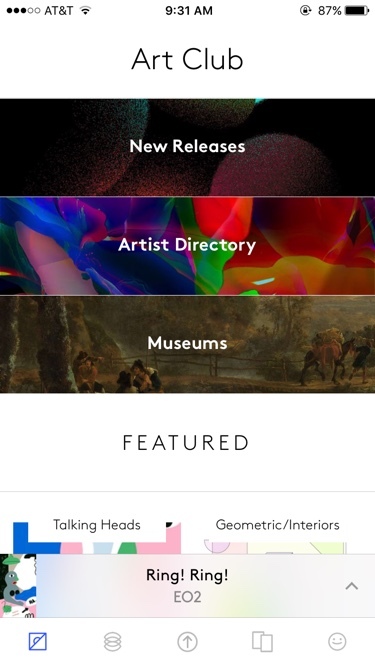 Playlists is where you’ll be able to manage art playlists you have created. These can be made up of any art in the EO app from Art Club pieces, to community uploaded work, to your own uploaded work. 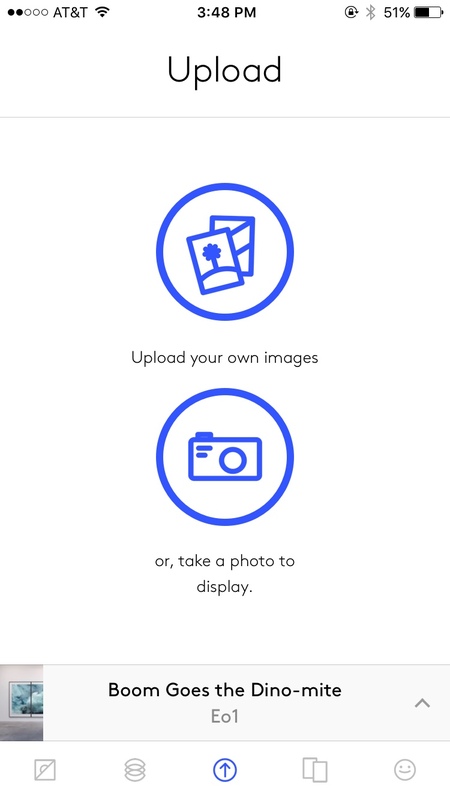 On the Upload tab you can select images from your iPhone photo library or use the built-in camera to take new photos that you can subsequently add to playlists. 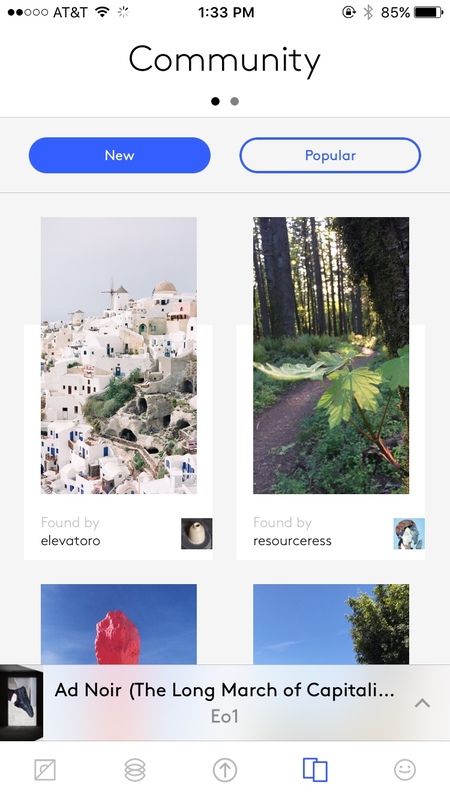 Once you have selected photos from your library, you will be able to crop them, name them, and decide if they’re visible to just you or available to the community. The Gallery tab has two sections: Community and Follow. Community is a great place to discover new art from the EO user community. It is organized by ‘New’ artworks and ‘Popular’ artworks. Once you have found an individual artwork you like, you can learn more about the artist by visiting their profile page. There is also the option to follow the user if you want to populate their updates into your Following section. Click here (link) for more details on the Following section. 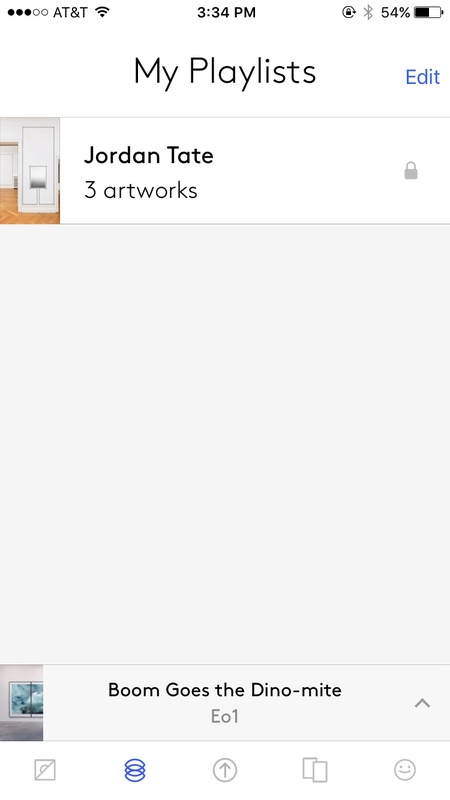 And finally, the Profile tab is where you can manage the artworks that you have uploaded, favorited, or displayed at any point. Here you will also find the Account Settings gear, which will let you logout of your account, access our customer support system, edit your profile, or add a new display on the ‘Settings’ page.